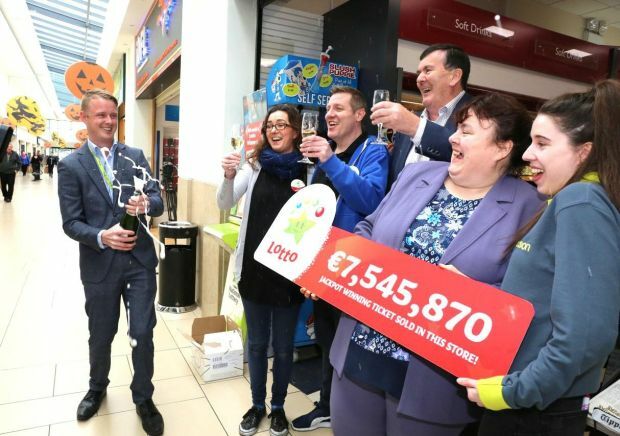 A Co Tipperary shop was buzzing with excitement on Thursday as customers and staff guessed who could be more than €7 million richer after the latest National Lottery draw. Wednesday night’s winning ticket was sold in Eason in Thurles Shopping Centre. The ticket, which the National Lottery confirmed was a “quick pick”, is worth €7,545,870. There was just one winner of the jackpot. The winning numbers were 8, 10, 11, 25, 28, 32 - with the bonus number 35. “Hopefully, it was someone local,” said Deirdre O’Toole, manager of the family-owned shop. “But we’ve no idea. Everyone is so excited. One of our staff was a few minutes late to work this morning - by the time she got here we had decided she was the new millionaire.